In this blog, Brill gets a bit bluesy as he recounts the past two concerts he enjoyed at local concert hall, The Narrows, in Fall River, MA. The late great B.B. King (no doubt still cradling his beloved guitar Lucille in some heavenly nightclub) would have been mighty proud of two recent concerts by two master slingers of the genre – harmonica and vocalist Charlie Musselwhite and guitarist and vocalist Walter Trout- as each delivered superb shows before sold-out audiences at The Narrows Center For The Arts (the “Narrows”) in Fall River, MA. The Narrows is a little gem of a concert venue worth checking out for live music. 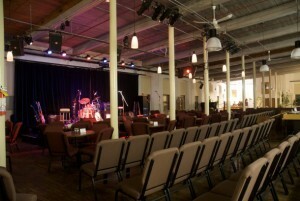 It boasts consistently great lineups (see www.narrowscenter.org) and a heartfelt community spirit. Its large space (located on the third floor of a former mill building overlooking Mt. Hope Bay) delivers great sound where vocals and instruments are heard with an alive and tactile quality while low bass and drum hits are resonant and full in its cavernous space. The volunteers who have run the Narrows since 1995 are music lovers who clearly adore their audiences. On April 15th, many of them gathered on stage to toast to the glory of the Narrow’s hosting of its 1,500th show (with plastic cups passed around to the audience for a rousing toast of champagne). And, speaking of “glory,” it’s a term that also best describes the raw delivery of heat, passion and grit that blues legend Charlie Musslewhite brings to his rollicking blues night after night. 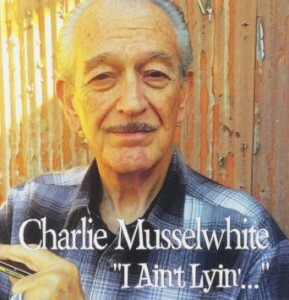 For a treat, take a listen to Musselwhite in his earlier performing years, joined by a brash big band on his 1978 recording Times Getting’ Tougher Than Tough [Crystal Clear Records]. This record will demonstrate the magic of vinyl: lighting up your listening room with a capacious and tactile soundstage in which Musselwhite and his cohorts serve up jump blues on a big, bold and soulful platter. At his Narrows show held on March 11th, Musslewhite arrived serenely, chatted with audience members and then pulled out his traveling suitcase (covered with Hells Angels and Clarksdale, MS. stickers) containing his assortment of harmonicas. 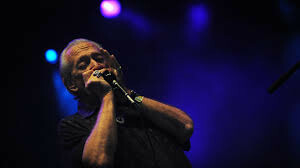 Slowly and deftly, he pulled out the first chosen harmonica and began to wail on it, sounding like a propulsive steam locomotive pulling out of a station. After this first throb of harp, his young band (consisting of Matt Stubbs on guitar, June Core on drums and Steve Froberg on bass) hit the road running with their attack of roadhouse bluster that rambled into the high octane tune, “Long, Lean, Lanky Mama” taken from Musselwhite’s recently released live recording, I Ain’t Lying [CD Baby;charliemusselwhite.com]. 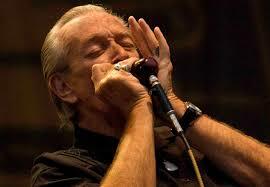 The show highlighted the deft chemistry between the legendary Musselwhite and his gifted young partners. 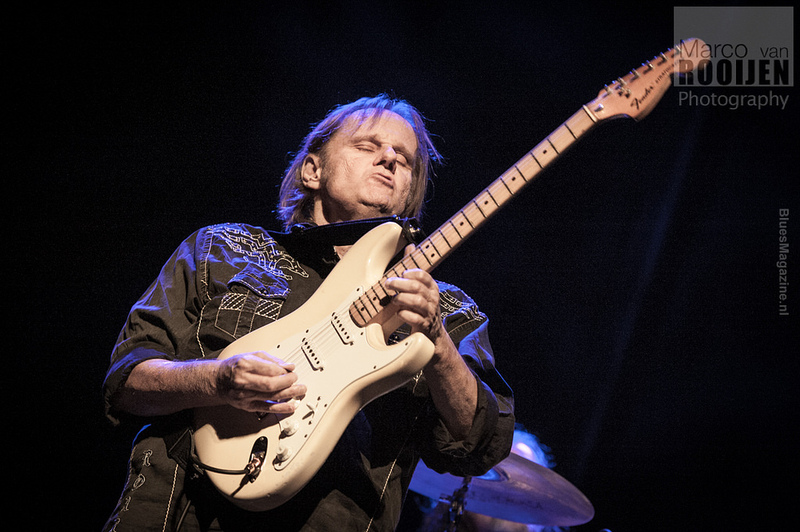 Stubbs displayed swashbuckling guitar energy all night, combining smooth melodic rolls with biting string bends. On the tune “300 Miles”, (also from I Ain’t Lying), he and Musslewhite combined for a duet that stretched out to the horizon with Musslewhite’s cavorting harp calls and Stubbs utilizing a reverb sound on his guitar to create a hollow sound (to his heated holds and blistering runs) that brought the capacity crowd to its feet. Another highlight was the band’s brash rendition of the Elmore James number, “Done Somebody Wrong,” in which Musslewhite moved from the lowest registers of his harp to its highest pinched peaks. Stubbs obliged by taking an ardent guitar solo built upon repeated phrases and a rhythm guitar swagger – all ending in a huge crescendo of jagged chords and distortion. All of this great drama was propelled by the dynamic attack of bass and drums as Core and Froberg held down a tenacious boogie foundation underneath. Musslewhite and his young compatriots not only brought swagger and sway, but they also could bring forth the tender and the breezy as well. 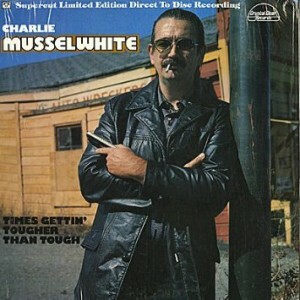 These tunes highlighted how Musslewhite’s vocals still possess, (after many years of his performances on the road), an ardent and expressive quality. On the breezy sway and country feel of “Long Legged Woman,” Musselwhite’s vocals went deep and searching in duet with his harp as he brushed his lips softly against its shiny surface and breathed languidly to create a gentle wisp of soaring sounds. This same shimmy and breeze continued into a wild ride on “My Kinda Gal” (also taken from I Ain’t Lyin) that had Core furiously plying his wood rims. Against this clamor of wood hits, Musslewhite’s crisp harp dueled with Froberg’s bass in a slippery groove. The crowd stood and urged on this duel of two musicians at play (in the fields of the blues) until the last piquant squeal was sent soaring from Musselwhite’s expressive harp. 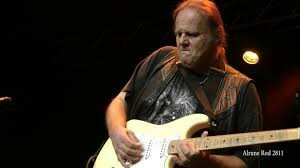 A few weeks later, on April 15th, another master (this time of the Telecaster) took to the stage at the Narrows and (before an ecstatic sold-out audience) delivered a concert of such protean magnitude that there was no doubt that he remains one of the most fiery, expressive and dynamic blues guitarists on the planet today. Walter Trout is a miracle: he has survived near-death from liver disease (he was only saved by an anonymous gift of a liver transplant after waiting seven months in a hospital – he urged everyone at his concert to register as organ donors at www.donatelife.net) and his guitar artistry is as hard-won, genuine and rocking as you will ever hear. 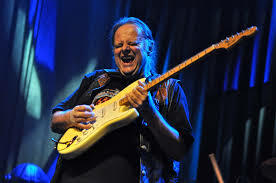 I believe his tour de force is his 2013 tribute recording to another Master of the Blues, Luther Allison, entitled Luther’s Blues [Provogue Records; www.waltertrout.com]. This is a seminal recording and a masterpiece, from its blazing guitar rifts to its stunning emotional delivery. Trout takes inspiration from Luther Allison’s own genius (heard on such rocking and raw vinyl releases as Allison’s 1969 album, Love Me Mama on the legendary Chicago Delmark label) and soars into blues and rock heaven on every cut. Just take a listen to “When Luther Played The Blues” or “Low Down and Dirty” (with Luther’s brother, Bernard Allison on spidery slide guitar) and you will be transported to a world of pure heartfelt soulfulness where Trout’s guitar and voice meld into one perfectly dignified blues rocker of volcanic power. Luther’s Blues is a recording for the ages and a must have for anyone’s vinyl or CD collection struck with the glorious blues fever. At his April 15th show at the Narrows, Trout brought all of the volcanic power that he displays on Luther’s Blues to deliver a magnificent molten performance. 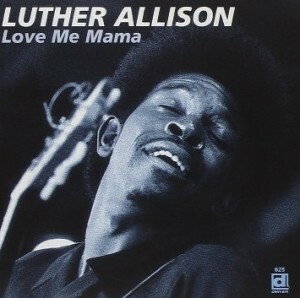 Accompanied by his ardent trio (Michael Leisure on drums, Johnny Griparic on bass and Sammy Avila on Hammond B-3- aided at times by his two sons on guitar and vocals), Trout ripped into Allison’s “I’m Back” (a great salute to his own recovery) and “Move From The Hood” with a passion that was tenacious. He hit the stage pounding on his guitar, with his MESA/Boogie amplifier turned up to bone-rattling volume, pelting unfurled curls of high notes in blasting fun. There was simply no stopping Trout and the creative kinetically charged heat radiating from his guitar all night long. 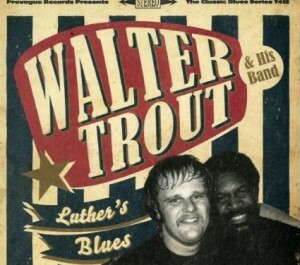 Trout sang with glee and fervor, his vocals gritty and soulful. His intense high calls on Allison’s “Cherry Red Wine” or the classic “Rock Me Baby” mixed with his resolute treble guitar holds in a full throttle assault that sent the capacity crowd into a frenzy of applause. 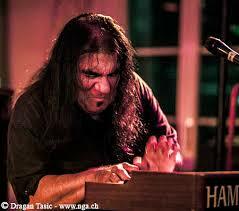 He also ensnared slow blues in a dazzling display of creativity and soul. On Allison’s “Big City” his slow guitar work was ferocious and poignant. This searing indictment of poverty, racism and police violence took on a huge swath of energy in Trout’s Hendrix-like spread of long held guitar chords and big voluminous holds that spanned everything from violent shrieks to soulful wails. On another slow gem, “Cold, Cold, Ground” (taken from Trout’s latest release Battle Scars[Provogue Records], Trout focused his intoxicating guitar on two piercing repeating notes – one high and one low – seesawing between them to develop a combination of guitar sting and sway that was a consummate synthesis of hot and cold in this slow brewing ramble. Trout’s companions also picked up on this glorious and ferocious energy and partnered with Trout step by step through the gnash and grit of his wondrous rocking world. 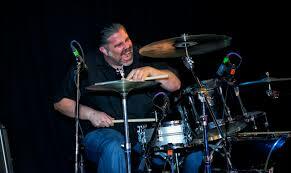 Michael Leisure on the drum kit was a powerful presence throughout, marking his time with punctual huge cymbal and snare hits and waiting to erupt on his drum solos (when given the moment’s opportunity) with a locomotive piston-like ferociousness. Sammy Avila’s B-3 added beautiful sheets of color with his long held burbling organ chords interwoven with Trout’s riveting solos. On a tune announced by Trout to be simply an “A-minor blues tune” Avila took off on a scampering organ solo hurling out notes at a breakneck speed with big flourishes of pungent organ holds. If there was a pinnacle highlight of the night, it had to be Trout and his band’s tribute to B.B. King entitled “Say Goodbye To The King.” Before launching into this piece, Trout recounted how he had met King in a chance encounter at a store in New Jersey where Trout was working as a young man. As a result of this long conversation with King at this early time in his career, Trout was inspired to perfect his craft. In playing this tribute to the King at the Narrows, Trout wore his heart on his (guitar) sleeve. He commenced the piece as a slow brewing ballad with soft caresses in his guitar’s highest registers (next to the shifting lines of Johnny Griparic’s expressive bass). From this epicenter of low dusky vocals and slowly twisting guitar lines, Trout built to a crescendo of mammoth design with scorching high guitar notes and huge major chords held in a fury of positive energy (until the last note and drum whack was punctuated). 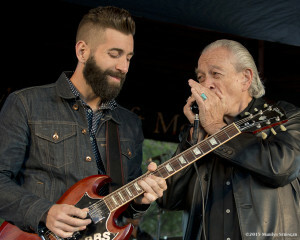 In the end, Trout’s expression on his face showed that he was clearly overwhelmed with emotion in this final moment as he basked in the glow of his mentor’s inspiration and in the simple joy of being alive playing the blues he loves. 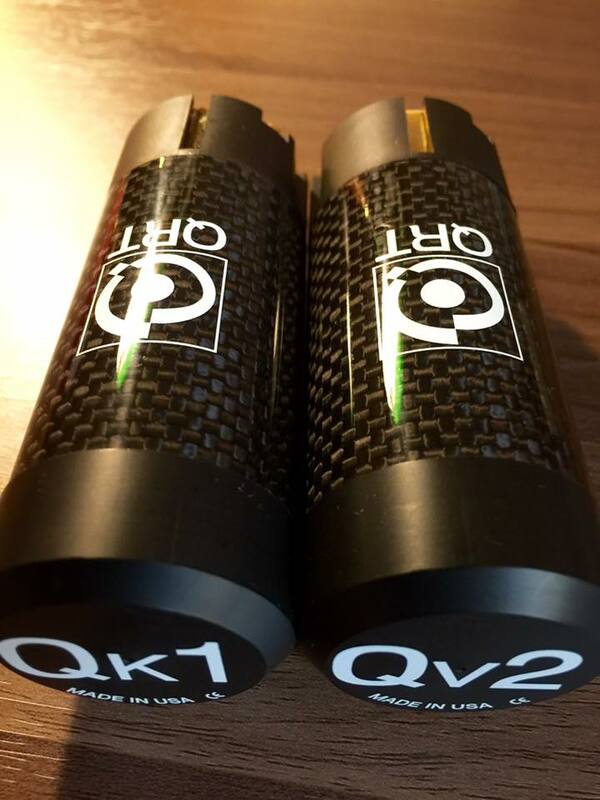 This past January, at CES, reviewer John Darko of DAR became interested in our Purple Flare Power Cord. He was specifically curious how our cable would impact the quality of his Sonos Connect. 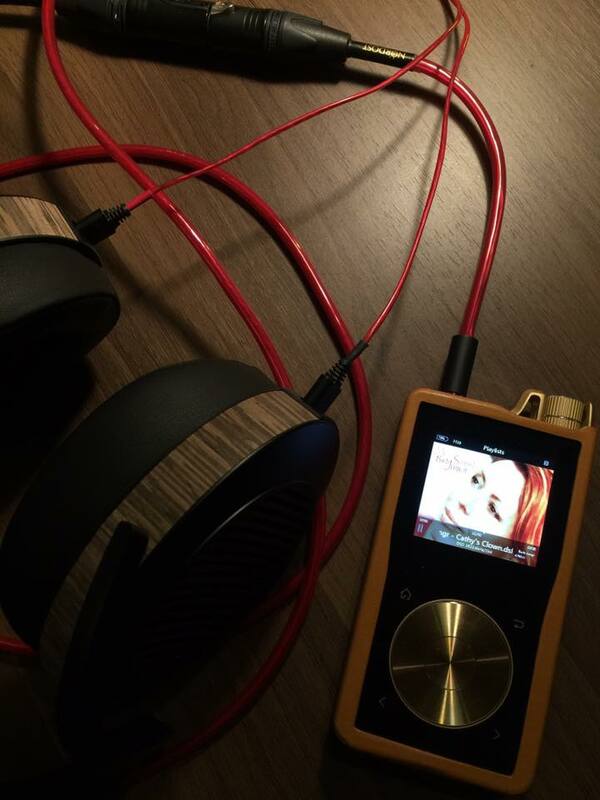 Last month, he shared his upgrade experience with his readers on Digital Audio Review. You can now read John’s full article, Spruce Up Your Sonos Connect With Nordost’s Purple Flare, on the review section of the Nordost website. 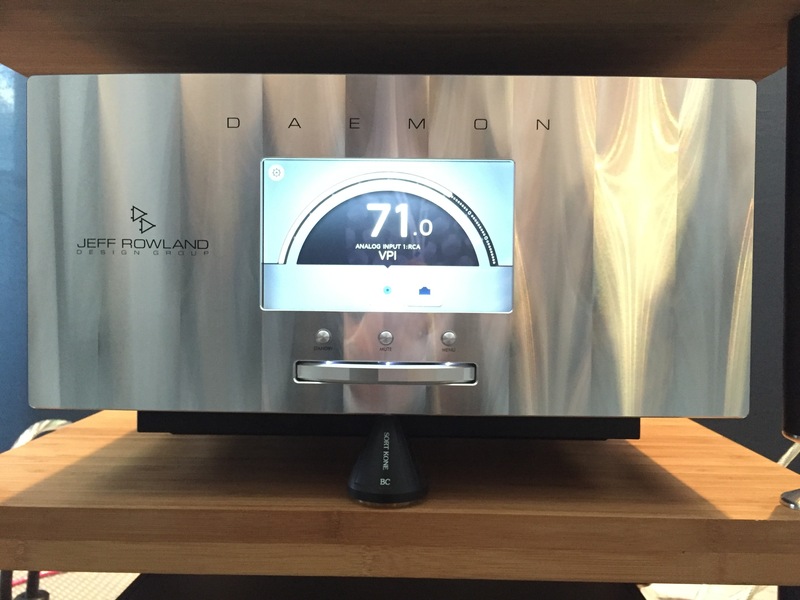 In a high-end audio system every element is critical. 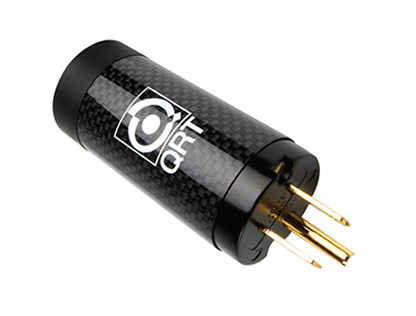 As people who have a great appreciation for the music we love, and hobbyists who strive to achieve the most realistic sound possible in the comfort of our own listening rooms, we spend hours searching, listening, and comparing different components in order to achieve the performance level that we are looking for. 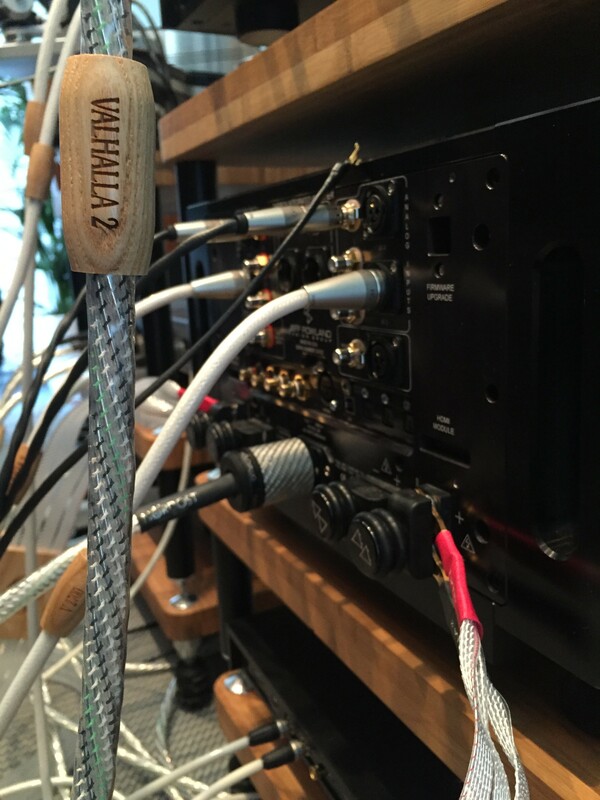 As cable manufacturers, we understand that wiring is not the first component that most people take into consideration when they are looking to upgrade their sound system. In fact, at times it is even a battle for cables to be considered a component, and instead they are often pushed into the category of “accessory”. 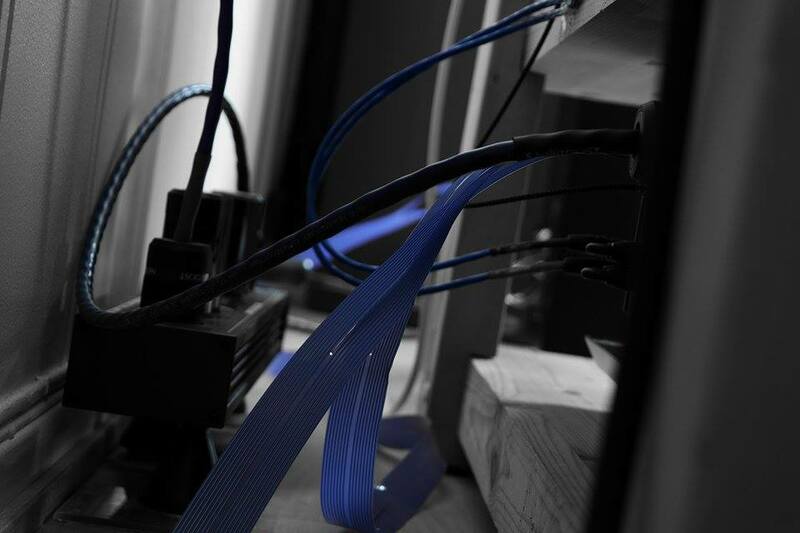 Cables, however, are an extension of the equipment they are connected to and the effect that they have on the performance of the device they are connected to should not be minimized. But by ignoring cabling and passing it off as an afterthought or accessory, you are limiting the potential that your system is capable of. After all, a system is only as good as its weakest link. 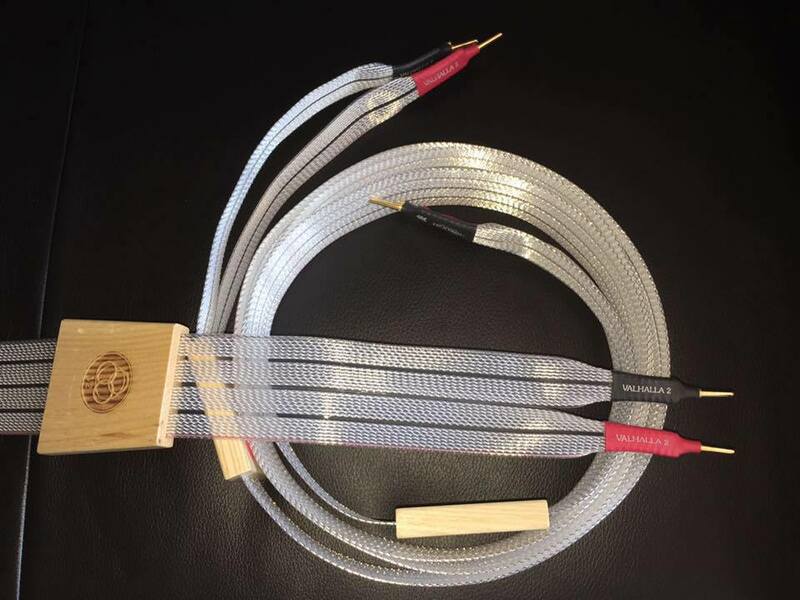 Nordost has a very unique philosophy when it comes to cable design. 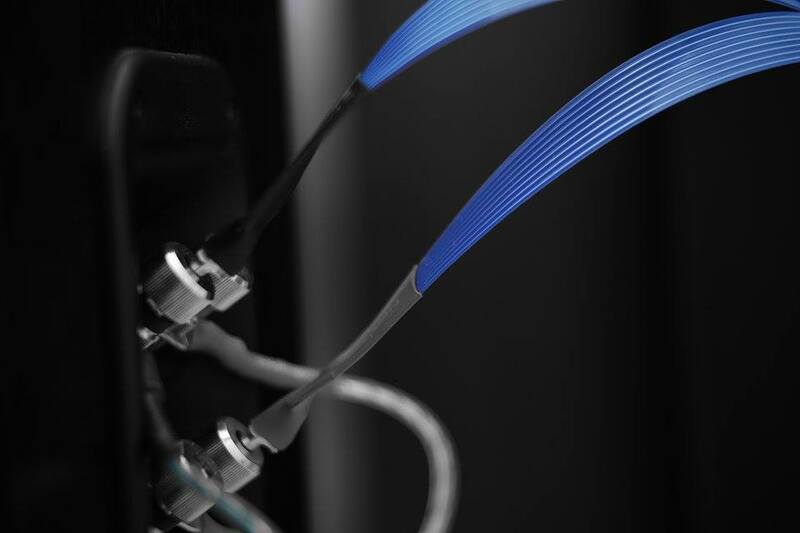 As a rule, we believe that cables cannot add to the fragile signals that they carry. 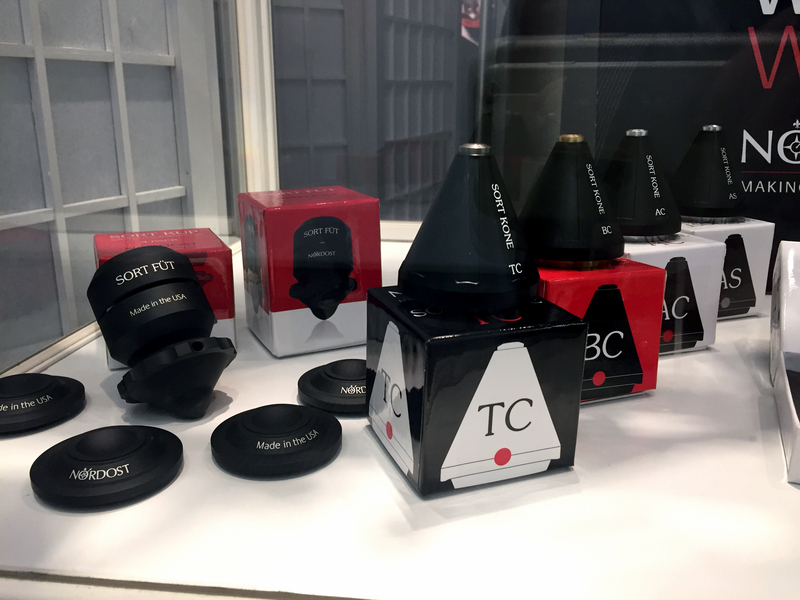 Instead, we have designed 4 ranges, each causing less impact and signal-loss than the range that came before it, which in turn produces progressive sonic improvements. 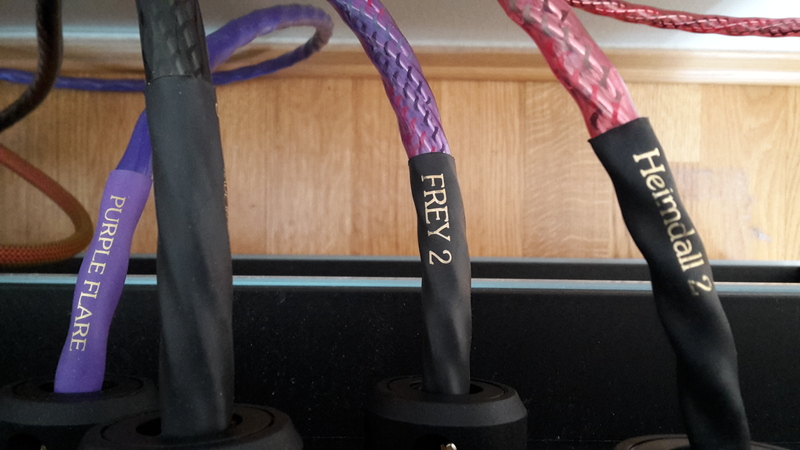 From the entry level cables (Leif) through the top of our Supreme Reference Range (Odin 2), these improvements are achieved by various means: the number and gauge size of the conductors, proprietary technology such as the use of Mono-Filament, purpose made conductors, and mechanically tuned lengths. All of these elements not only result in measurable improvements (as shown in New Approaches to Audio Measurement), but the differences are also audibly demonstrable. 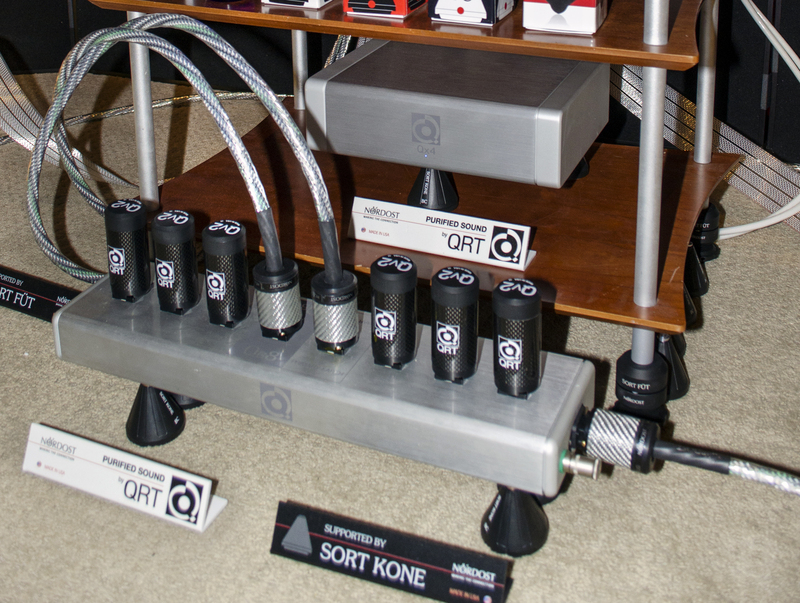 Over the past 25 years we have built the reputation of our products by conducting live cable demonstrations at Hi-Fi Shows around the world. 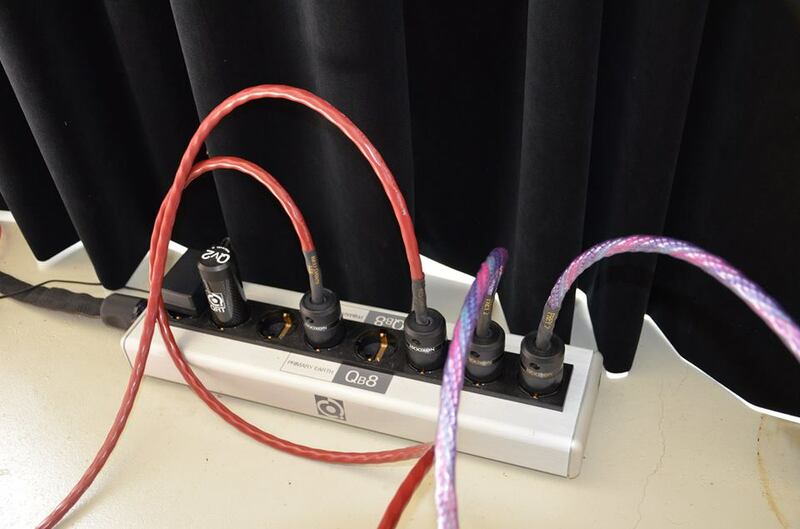 These demonstrations are great fun because we can actually show people that just changing a power cord, interconnect or loudspeaker cable can make real improvements to the musical performance experienced. The demo format we use, and have used since the beginning, is a simple A/B comparison. 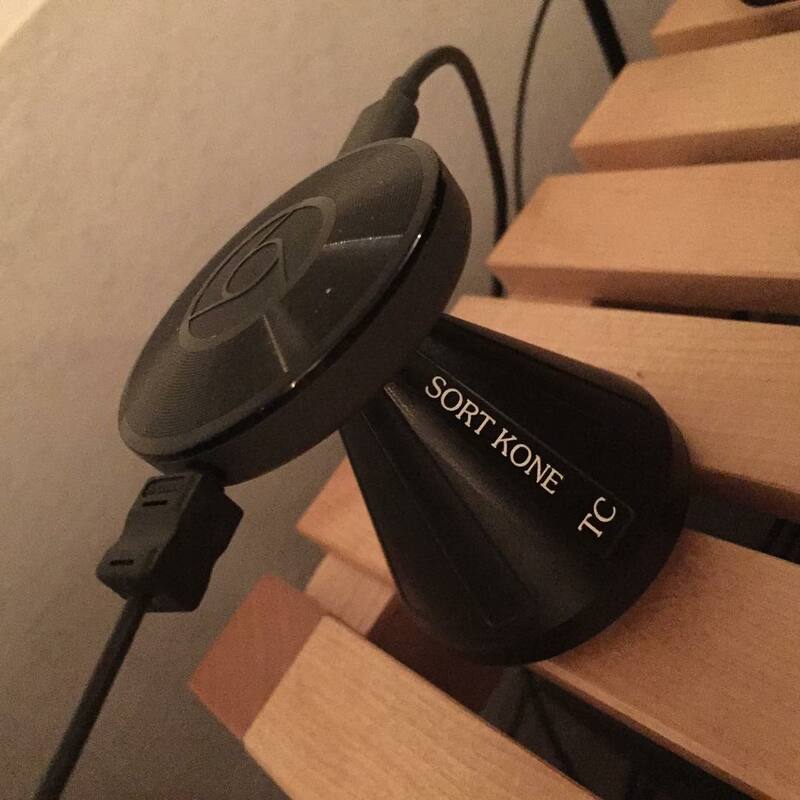 We simply start using a stock or entry level cable, play a small sample of music (not too long of a sample so as to mitigate listening fatigue) and then play the same piece again, at the same volume, using an improved cable. It is amazing how dramatic the results can be when you use such simple and concise comparison methods. 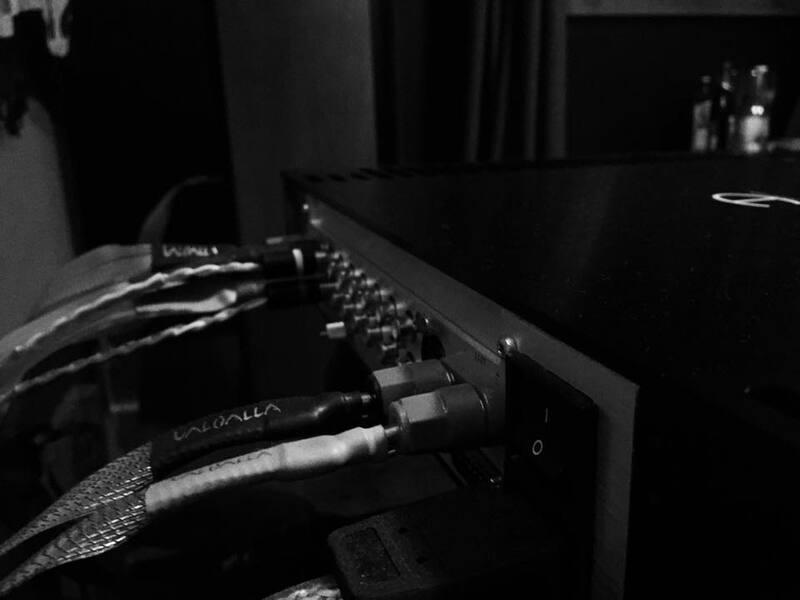 Upon hearing our demos, listeners usually report hearing an increase in both fine details and soundstage, due to the very low capacitance of our cables. With certain cables (specifically our power cords) the music may even be perceived as being louder… however, this is not the case. What people are actually hearing is a lowering of the background noise floor, which can produce the same effect as an increase in volume. Of course, it is not our aim to tell you what you should hear. 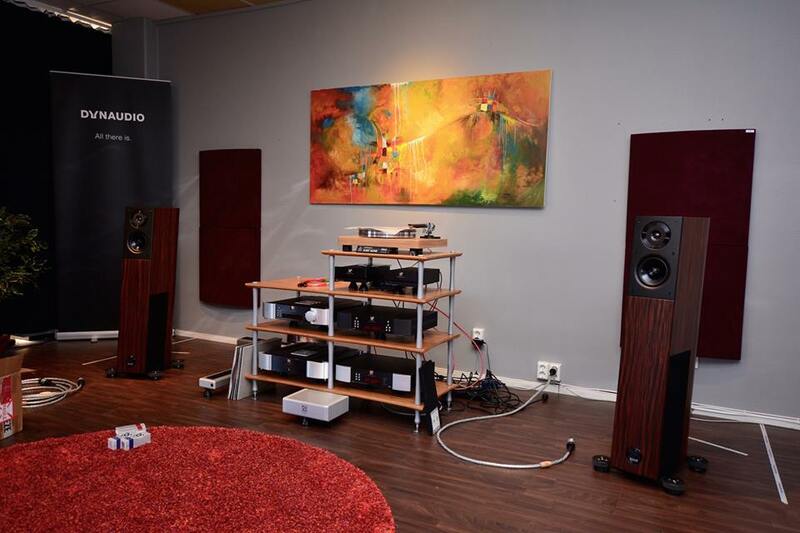 Nordost has always insisted that the end user should hear these differences for themselves. 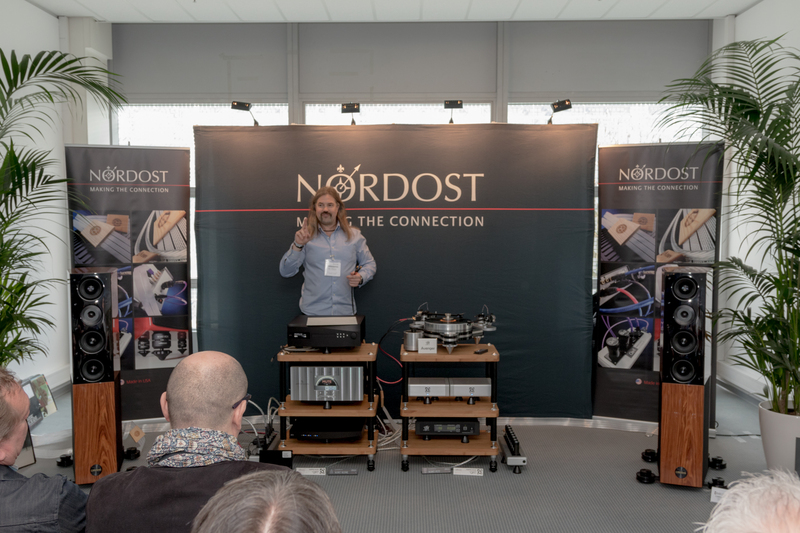 We encourage everyone to visit their local Nordost dealers for their own demos, attend one of our live product demonstrations at an audio show near you, or even better, take our cables home and try them on your own system! 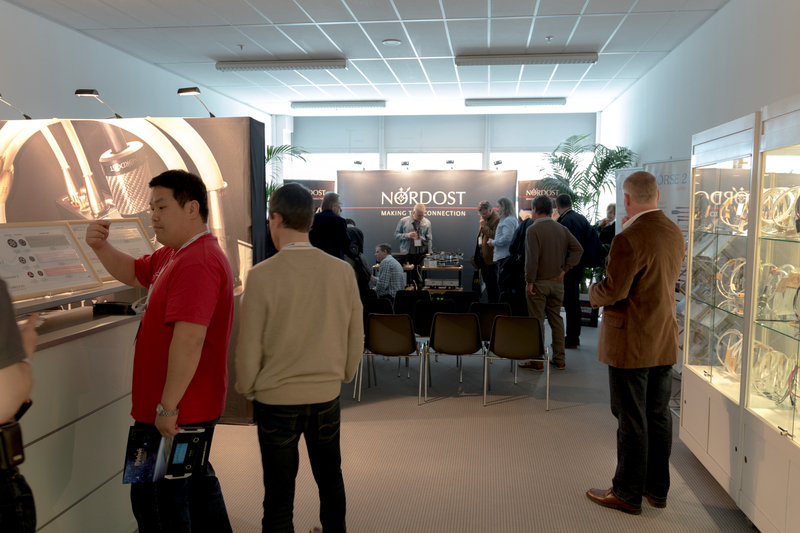 In order to appreciate the Nordost difference you have to hear the Nordost difference. May Alfred, Lord Tennyson will forgive my blatant bastardization of his poetic masterpiece, but its true: as Winter turns to Spring, flowers begin to bloom, animals awaken from hibernation and guys start prepping their toys for the warm months. All across America, lawnmowers are gassed and lubed, boats are lowered into lakes and rivers, hot rods are tuned and detailed until they shine like mirrors; in other words, it’s time for Spring Cleaning and your Stereo System is the best place to start! Tweaking your system means being a “Do it yourselfer” and, like car guys, you should derive pleasure from maintaining, improving and hot-rodding your gear. There’s a special satisfaction that comes from Sweat Equity and this is particularly true in the case of system optimization. Although many connoisseurs assume a Stereo System requires little or nothing in the way of maintenance, nothing could be further from the truth. Mechanical vibrations and electrical impulses loosen nuts and bolts, while dust, dirt and pollutants contaminate every connection in your system. Records, cartridges, laser pickups, etc are equally vulnerable. Since these changes occur gradually, you might not notice the degradation in performance on a day-to-day basis but trust us: once you’re given your system a serious “Spring Cleaning,” you’ll hear everything you’ve been missing. And remember: THIS IS FUN!!! Enjoy spending some “Quality Time” with your system…. Now that we’ve improved our power, it’s “Time to Tighten.” Your speakers, if they’re on spikes, are probably wobbly. Drop a Spirit Level (please check my “Audiophile Tool Kit” blog from last month) atop each speaker, level it, and then tighten the spikes so that the speaker is rigidly coupled to the floor, making sure that all four spikes are in contact with the floor and the speaker (or stand, for monitors) doesn’t rock to and fro. The improvements in bass punch and image specificity can be startling! As a corollary, you can check to see if the bolts that hold each driver to its baffle are properly tightened. BE CAREFUL! You’re just ensuring that there are no loose bolts. Over-tightening can be catastrophic! While we’re at it, it can’t hurt to clean and dust everything. If you’ve got some chutzpah, disconnect all of your components, remove from your rack and clean each with a soft, damp cloth. Clean the shelves upon which your components sit, as well. Will it make a difference in sound? Maybe not, but since when was dust and dirt A Good Thing? Since your rack is now empty, consider repositioning it. Do you have sufficient access to cables? Have you considered moving your rack to a more convenient location and changing cable lengths? Have you considered adding some sort of “Footers” beneath each component? Now’s the time! Let’s make sure your system is “On The Level.” Even if you leveled everything when you first installed your system, that might no longer be the case. Start by leveling your system rack, making sure it doesn’t wobble or rock on the floor. Next, place your turntable and/or CD Player on its support and make sure they’re level, as well. 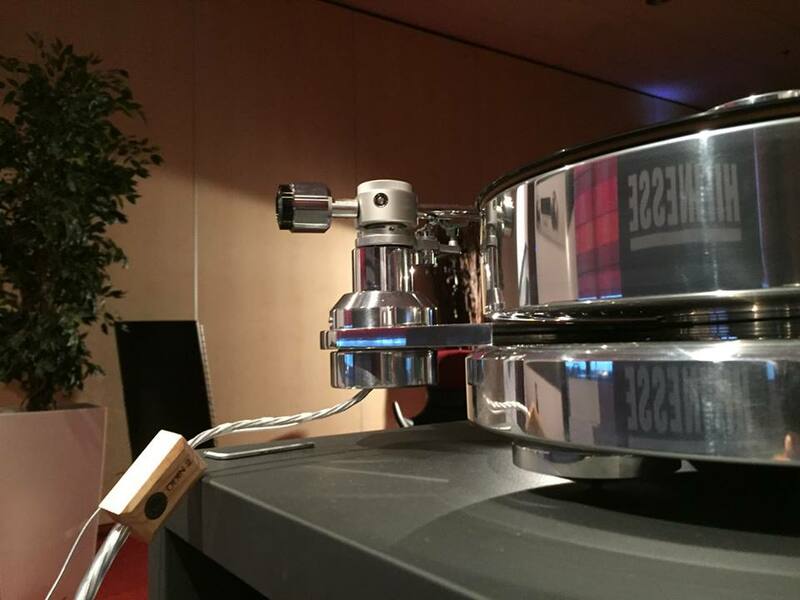 Turntables require special attention. Check that cartridge screws and clips are tight, break out your stylus force gauge and check that tracing force hasn’t drifted, use a strobe to confirm speed accuracy. (This is especially important with Belt Drive ‘tables, as belts will stretch with use.) Load up your rack and verify level: an unladen rack won’t necessarily remain level once a couple of hundred pounds of equipment have been added! If there are nuts to lock your rack’s spikes in place, gently tighten to save your work. It’s time to check your connections. Over the course of a year, your speaker binding posts will have loosened and your contacts will have become contaminated. 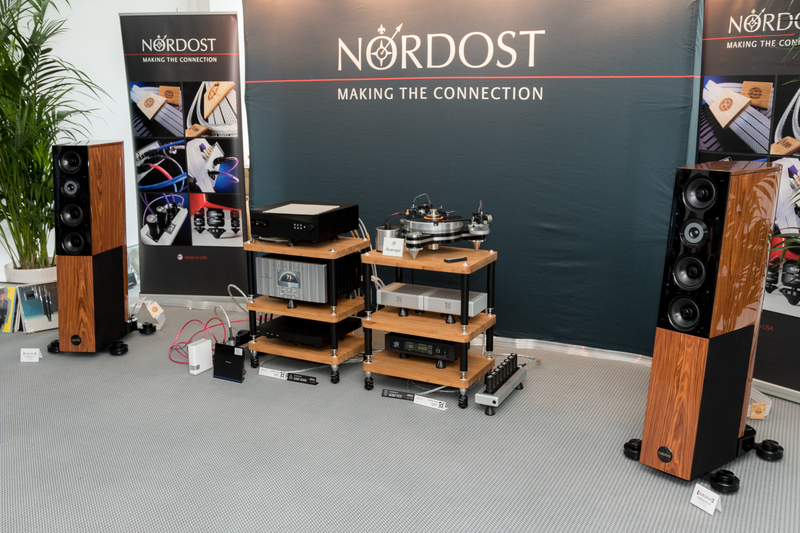 This is a good time to bring your cables back to a Nordost Dealer for a three day Vidar burn-in. Buy a can of Cramolin and carefully clean every cable plug and chassis socket to remove built-up contaminants. (Do NOT apply any cleaner or treatment to AC connections: the results can be disastrous!) 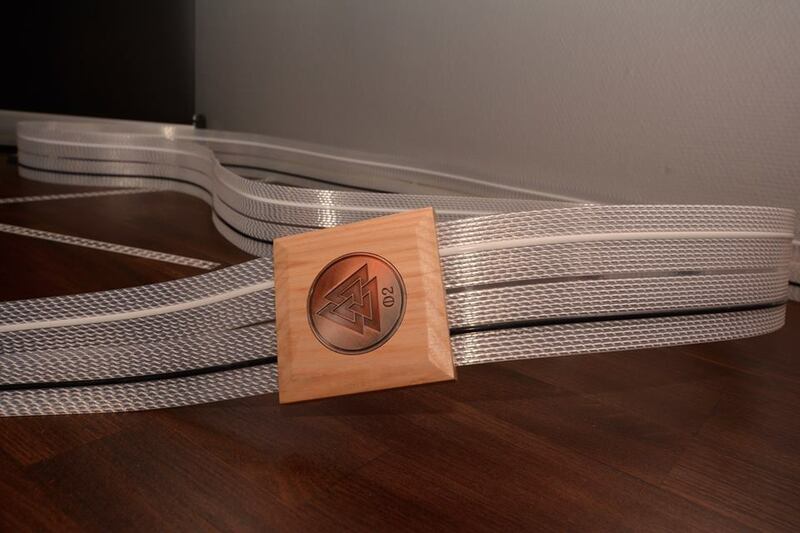 Before you reconnect all your cables, give everything a good wipe-down with Nordost ECO 3X to eliminate both dust and static charge. Ensure that all cables are properly “Dressed” and that power and signal cables are separated to the extent possible. Verify all connections and power-up…. Chances are, you’re going to experience a host of changes, some of which might not seem positive. You’ll probably hear more prominent bass and perhaps a bit more “immediate” (read: “Forward”) sound. This is normal! It’s time to reposition your speakers. Try everything: closer together and no toe-in, farther apart with more toe-in, closer and farther from the back and side walls, asymmetrical placement, etc. 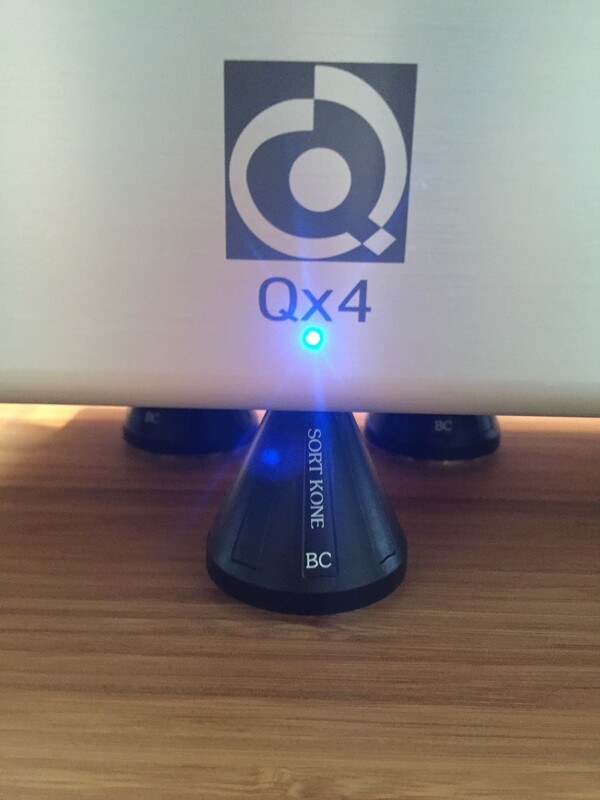 Use your favorite music and perhaps a couple of setup discs (Nordost makes a great one!) to restore the balance to your system. Once you’ve found the “Magic Spot” for your speakers, re-level, ensure that the speakers/stands are free of play and wobble and tighten. Finally, here’s the most important part of the process. Pour yourself a drink, spin (or stream) your favorite album, sit back and enjoy your handiwork. Happy Spring! 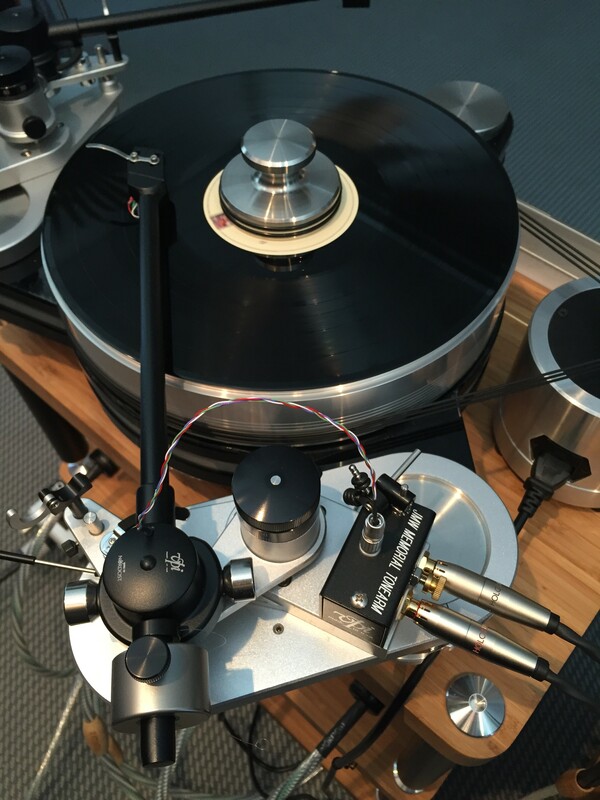 Nordost will be exhibiting at T.H.E. Show Newport Beach, June 3-5 at The Hotel Irvine. 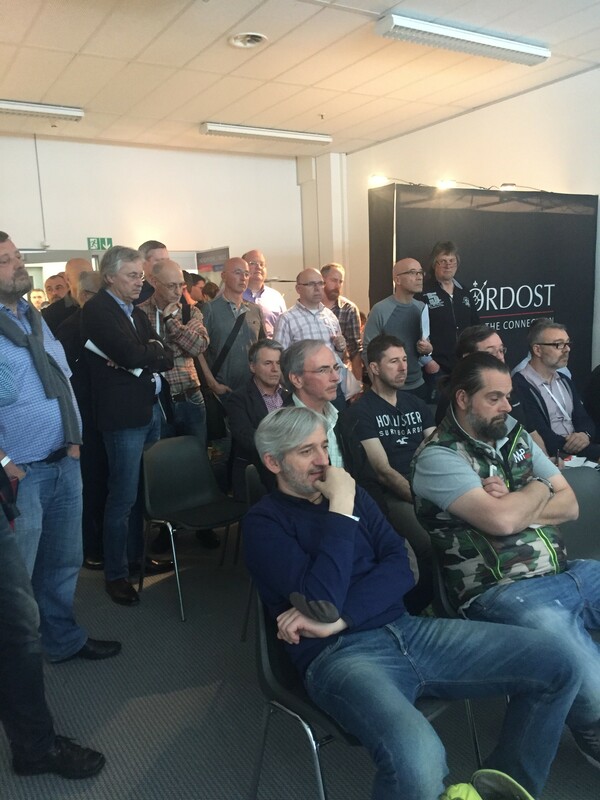 In room 1404, attendees will be able to hear Nordost’s Reference and Supreme Reference Cable ranges which will be featured in a system using components from dCS, D’Agostino and Wilson loudspeakers. 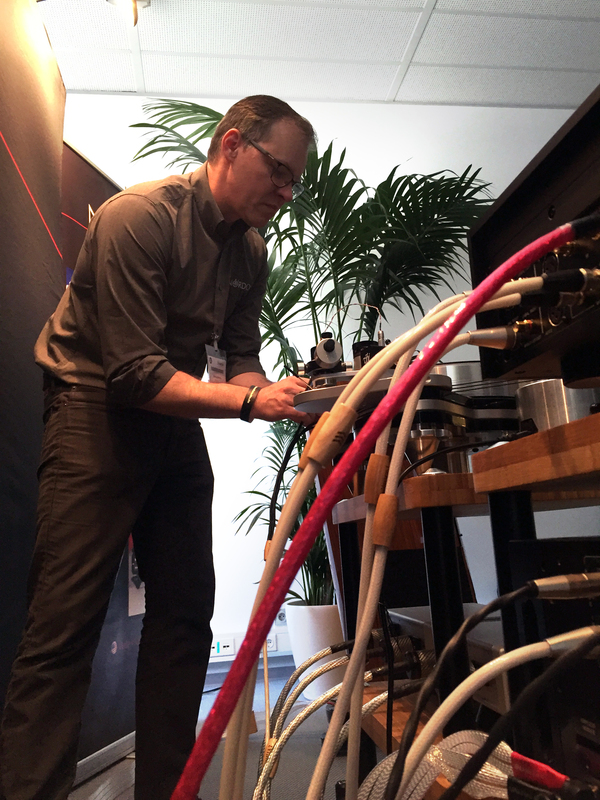 Nordost sales representatives and product specialists, Michael Taylor and Steve Greene will be leading demonstrations and making cable comparisons throughout the weekend. 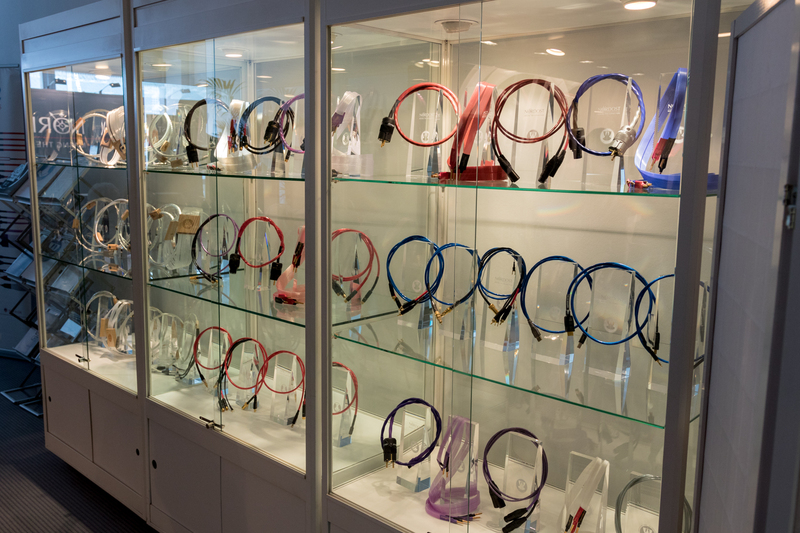 While at the show, make sure to take advantage of a special show offer on select Nordost products at our sales booth across from the market place.